How clean is your facility? Life science industries must show there is no microbial contamination, drug or cleaning product residue on their production surfaces. 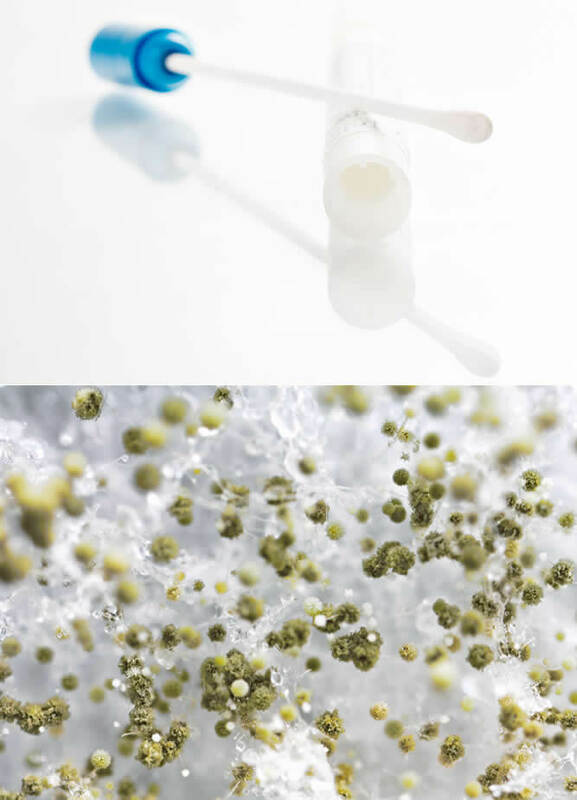 Demonstration of microbial cleanliness is demonstrated through swabbing surfaces after cleaning and by performing an in situ disinfectant efficacy study. Chemical cleanliness can be demonstrated by swabbing surfaces after cleaning and showing low levels of Total Organic Carbon. FOCUS Laboratories has validated methods for confirming that your disinfectants will work on your surfaces against environmental isolates recovered in your facility. Sterilants, disinfectants, sanitizers are registered with the US EPA and must have data to show effectiveness against standard microbial species. However, the US FDA has been requiring that these formulations are also effective in life science industries at use dilutions and application instructions dictated by company SOP’s. FOCUS Laboratories will apply your environmental isolates to coupons of material from your facility, apply antimicrobial according to your procedure, and recover survivors by validated method. Total Organic Carbon (TOC) can be used as an indicator substance during cleaning validation studies. If residual cleaner or soluble drug product remains on the production line, it can be recovered by swab, the amount of TOC from that surface area can be analyzed, and the result can be compared to predetermined safety levels. FOCUS can provide protocols, swabs, vials, and consultation required to execute a defensible cleaning validation.